Beaver Builder is a WordPress page builder plugin that allows you to build complex page layouts in an intuitive drag-and-drop interface. As WordPress evolves beyond the blog, building attractive sites with modern layouts have become an increasing challenge. Theme developers like StudioPress have attempted to solve this by using custom page templates with styled widget areas. For example, the Centric Pro and Agency Pro themes have home pages built entirely with widget. But what if you need custom layouts for other pages? For example, a services page or product landing page? You’d have to make multiple page templates for each unique layout and your Widgets page would be overflowing. Furthermore I argue that widgets are secondary content. Your pages are primary content and deserve a better solution. Page builders are a better solution for creating custom page layouts in WordPress. With Beaver Builder, you see your layout come together as you are building it with it’s intuitive interface. It’s page builder mode looks much like the WordPress Customizer. You simply drag and drop modules on to the page and arrange them into rows and columns to build your layout. 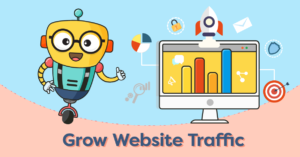 Beaver Builder comes with modules like Slideshow, Gallery, Content Slider, Text Editor, Photo, Video, Testimonials, Buttons, Call to Action and more. If you need something custom like a Twitter timeline, you can use the HTML module to add it to your page. And if you’re a developer you can even create custom modules. You can also create custom layouts for your store. Beaver Builder comes with a WooCommerce module to display your products on pages outside the store easily. Another really cool feature of Beaver Builder is the ability to style the rows containing the modules. You can have rows that fit within the content width, or rows that stretch the entire width of the screen for cool edge-to-edge layouts. You can also apply a background color or parallax image to the row. See the demos for examples. Beaver Builder represent a 2nd generation of page builders that exist as a companion to your theme rather than as part of the theme. The previous generation of page builders were integrated into the theme and typically makes extensive use of short codes. If you switched themes, your custom layouts would be lost and you’d be left with a mess of shortcodes. Because Beaver Builder is a plugin, you can switch themes and keep your custom page layouts as long as you continue to have Beaver Builder active. And if you do deactivate Beaver Builder, you’ll retain all your content – minus the layout – in the WordPress post editor. Beaver Builder includes a theme called Automator. It includes support for full-width layouts so that you can create cool edge-to-edge layouts. It’s a decent theme with multiple color schemes and options. If you want the edge-to-edge layouts but don’t want to switch to the Automator theme – no problem! You can add support for edge-to-edge layouts by adding a custom page template to your theme. Here is the page template I use on the ClickWP website. Save the code below as template-page-builder.php and upload it to your theme’s directory. 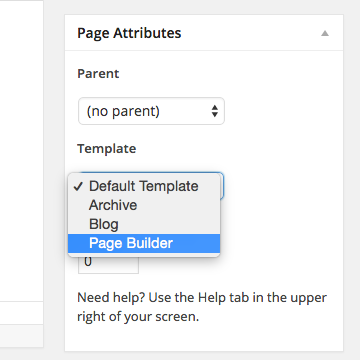 Select this page template for the pages you want to use Beaver Builder on. Now launch the page builder mode and you’ll have edge-to-edge, full-width layout as your canvas to build your page on. Important Note: The code above only works with Genesis child themes because they all have the same HTML structure. It’s still possible to create a custom page template for other themes, but you’ll need to adapt the page template code for your own theme. Beaver Builder costs $99 for a Standard license. They also have Pro and Agency licenses for developers. All licenses allow the plugin to be used on unlimited sites and include 1 year of support and updates. The company has also just released a lite version of Beaver Builder in the WordPress plugin repo. It only includes 5 modules – Text Editor, Photo, Video, HTML and sidebar – but you can create a pretty unique page even just with these free modules. Is Beaver Builder For You? It’s quite obvious from this review that I am a big fan of Beaver Builder. That being said, it’s not perfect. Here are some ways I think it falls a little short. Despite it’s intuitive interface, there are lots of things going on in Beaver Builder. Rows and columns and modules, settings for margins, padding and animation, etc – it all takes a little getting used to. Compared to content editors like Velocity Page and Barley, Beaver Builder is more powerful but more complex too. I wouldn’t recommend Beaver Builder to clients who aren’t proficient with the web. I also wish that the page builder mode was faster and more responsive. Compared to VelocityPage, Beaver Builder is a little sluggish to render and display content. A powerful page builder that is super quick might be opposing goals, but I can be hopeful. Despite these minor niggles, I honestly believe that Beaver Builder is the best page builder WordPress plugin on the market. It’s a full-blown page builder, not a content editor with page templates. With Beaver Builder, your imagination is the limit. Have a question about Beaver Builder? Ask it in the comments! Thanks for the genesis snippet… really useful. I think its a great combo. Thanks for the awesome review and feedback! I agree that the page builder could be faster and have recently released a few enhancements aimed at speeding it up. Have you tried out any of the latest updates? Version 1.3.3 introduced a feature we call “live preview” which is similar to the kind of automatic refresh functionality you see in the WordPress customizer. Some settings will update instantly while others require a refresh of the layout. Version 1.3.5 introduced major refactoring of the data handling class that drastically reduced the number of database reads and writes. I’d love to hear if you think they have helped and if not, what we could do better. Hi Justin! Yes I realized you guys have added the live refresh – cool feature! However I think that may contribute to the sluggishness a little. The whole Page Builder feels like it’s hanging off my every key stroke or that I’m interrupting the live refresh with each key stroke. Maybe you guys could increase the lag between content input and refresh? Besides that though I do feel that the whole plugin is more lightweight. Hoe does this compare to Velocity Page? I saw your demo code above, but which works better with frameworks like Genesis? Hi Gabe, unfortunately I haven’t used VelocityPage before. I looked hard at it but to me it looks more like a content editor like Barley and not a full-blown page builder like Beaver. Ultimately I needed a page builder which is why I decided to go with Beaver. My site runs on the Genesis framework and it works fine. I’ve also had clients use it with Organic Themes with no issues too. Hey Todd, building sites with WordPress is pretty different from Rapidweaver. Beaver Builder is definitely closer to the RW experience so its definitely a good choice for you. BB actually comes with a companion theme. That would actually be a code-free way to have a tightly integrated theme with BB. Genesis is great for many other reasons but requires integration so you’ll need to create the template above and maybe some CSS too. I would definitely try BB with its companion theme (Pro plan) before choosing to integrate it with another framework like Genesis. Have fun with it!